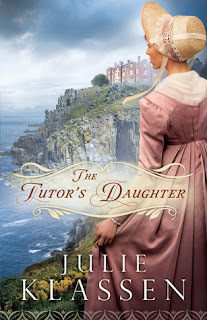 The Tutor’s Daughter is a story by Julie Klassen set in 1812 on the coast in Cornwall, England. Because of financial constraints, Emma Smallwood’s father closes their private boarding school and accepts a position as a private tutor for the Weston family. Emma serves as her father’s assistant. Their arrival at the Ebbington Manor was not reassuring. Sir Giles had not advised the rest of the family, including Lady Weston, or the servants of their coming. Emma felt that the situation was awkward. The two eldest Weston sons, Henry and Philip, had been educated at the Smallwood’s boarding school. They remember Emma as a young teen. Emma had not gotten along with Henry, but she had considered Philip a close friend. She is confused by her position in the household, neither servant nor guest. Shortly after arrival, Emma began hearing pianoforte music late at night. Other unexplained things happen. She suspects that someone is coming into her room at night. A page from her journal where she had written her thoughts and feelings about Philip was torn from its place and disappeared. Things began to escalate and become more ominous. The situation builds to a stunning climax that is both frightening and surprising. 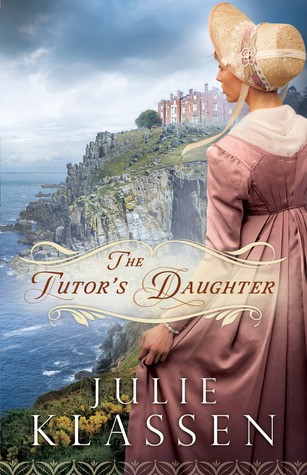 The Tutor’s Daughter is written with detail that shows life in 19th century England. The descriptions of the countryside around Ebbington Manor give the reader a sense of the wildness of the Cornish coast and lends well to the sense of Emma’s uneasiness. The book moves slowly in the beginning, but by the middle it is obvious that something is very wrong in Ebbington Manor, and it becomes a page-turner. I would recommend this book. Emma Smallwood, determined to help her widowed father when his boarding school fails, accompanies him to the cliff-top manor of a baronet and his four sons. But soon after they arrive and begin teaching the two younger boys, mysterious things begin to happen. Who does Emma hear playing the pianoforte at night, only to find the music room empty? And who begins sneaking into her bedchamber, leaving behind strange mementoes? When suspicious acts escalate, can Emma figure out which brother to blame and which to trust with her heart? Julie Klassen loves all things Jane--Jane Eyre and Jane Austen. A graduate of the University of Illinois, Julie worked in publishing for sixteen years and now writes full time. She has won the Christy Award: Historical Romance for The Silent Governess (2010) and The Girl in the Gatehouse (2011) which also won the 2010 Midwest Book Award for Genre Fiction. Julie and her husband have two sons and live in a suburb of St. Paul, Minnesota. Enter today by clicking one of the icons below. But hurry, the giveaway ends on January 30th. Winner will be announced at "The Tutor's Daughter Author Chat Party on January 31st. Connect with Julie, get a sneak peek of her next book, try your hand at the trivia contest, and chat with readers just like you. There will also be great giveaways - gift certificates, books and season 3 of Downton Abbey! Don't miss a moment of the fun, RSVP today. Tell your friends via FACEBOOK or TWITTER and increase your chances of winning. Hope to see you on the 31st! I love stories that have a friendly, cozy small town setting. Smitten, Vermont, is a beautiful town that would be a lovely place to live. 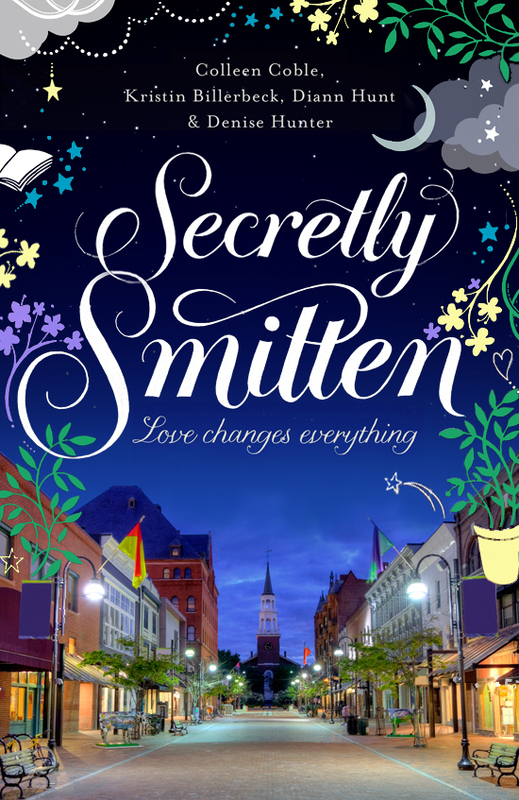 Secretly Smitten, written by a collaboration of four well-known Christian authors: Colleen Coble, Kristin Billerbeck, Diann Hunt and Denise Hunter is a story that will make you want to move to this attractive village. This is a story about three sisters and their mother who all find love in small town Smitten. This is definitely not realistic but that’s OK. It is still a good read. The descriptions of this Vermont town are part of what makes the book appealing. The downtown with the trees covered in small, twinkling, white lights, Anna’s Sit ‘n Knit Shop, the Wind Chill Creamery, Lookaway Village Books and the local coffee shop, Mountain Perks all give Smitten a sense of community. And Main Street does not close down at night. The evenings in this vibrant community have both residents and tourists enjoying the charming downtown. Each of the authors writes four stories within the book, covering the mother, Anna and the three daughters, Tess, Clare and Zoe. The four authors do an excellent job of keeping the details accurate in each story, making the book seamless. 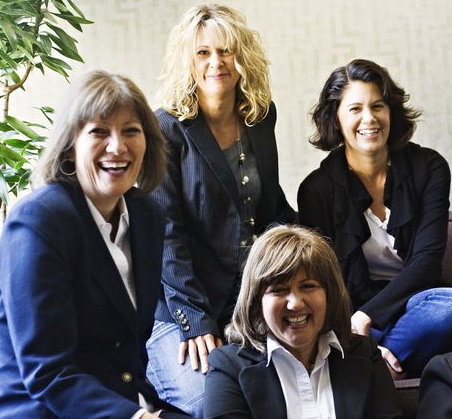 The four protagonists are interesting women, entrepreneurs who have carved out enviable lives for themselves. And yes, they all meet amazing men. I definitely recommend this book. The odds of four women in a village each meeting the man of their dreams are not good but for many reasons the book is definitely worth reading. It’s the kind of book to read by a warm fire with a hot cup of tea. There's a secret in Grandma Rose's attic-a forgotten set of dog tags belonging to her first love. But David Hutchins was killed in action and never returned to Smitten. How did the dog tags end up in the attic? The mystery intrigues Rose's three granddaughters-Tess, Clare, and Zoe-and they decide to investigate, though their mother, Anna, warns against meddling. But as the seasons turn and the mystery unravels, the three young women and their mother encounter some intriguing mystery men of their own. Has a sixty-year-old puzzle sparked something new for this close-knit family of women? 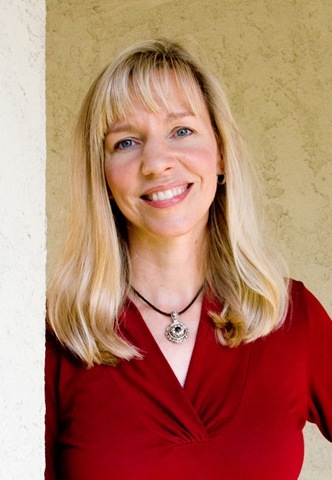 RITA-finalist Colleen Coble is the author of several best-selling romantic suspense novels, including "Tidewater Inn", and the Mercy Falls, Lonestar, and Rock Harbor series. * Christy Award finalist and two-time winner of the ACFW Book of the Year award, Kristin Billerbeck has appeared on The Today Show and has been featured in the New York Times. Her books include "A Billion Reasons Why" and "What a Girl Wants." * Denise Hunter is the award-winning and best-selling author of several novels, including "A Cowboy's Touch" and "Sweetwater Gap." She and her husband are raising three boys in Indiana. * Diann Hunt has lived in Indiana forever, been happily married forever, loves her family, chocolate, her friends, her dog, and, well, chocolate. Find out more about Coble, Billerbeck, Hunter, Hunt here. 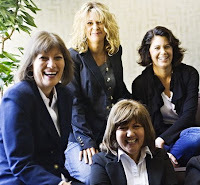 The "gals" are celebrating the release of Secretly Smitten with a fun Live Webcast on February 5th. They'll be debuting the *NEW* animated Smitten trailer, giving away tons of prizes, dishing on the book and their friendship. 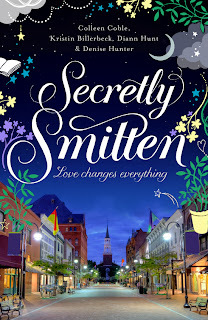 They'll also be wrapping up the Secretly Smitten blog tour, answering audience questions and testing your trivia skills. Don't miss the fun and bring your friends. Click here to RSVP and set up a reminder.